In keeping with the science of energy and matter, myths mirror what it means to be human. One ancient story, Eros and Psyche, provides an X-ray so that we can see into the archetypal layer of the psyche. As Jung often commented, “We cannot see an archetype, we can only see an archetypal image.” And furthermore it is the quantum energy that is liberated from the image that can be used for consciousness that makes evolution possible. 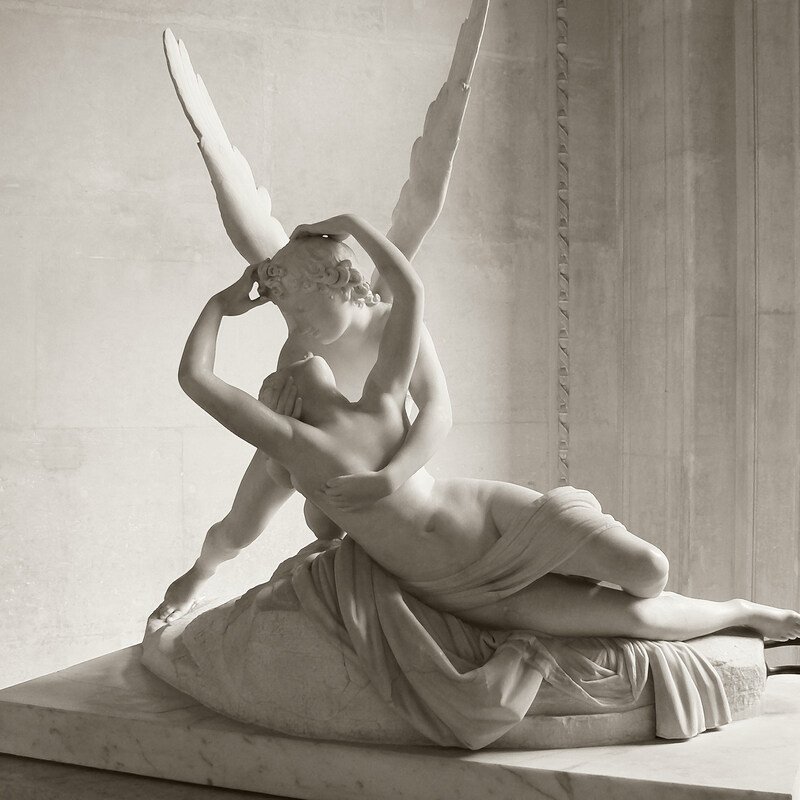 The story of Psyche and Eros is a road map with many twists and turns. The story ends with the complementary union of Psyche and Eros producing a child called Joy. More so than any other myth, most of which end in disaster, the tale of Psyche and Eros demonstrates the archetypal concept that humans evolve toward wholeness. Kind of like those subatomic particles, we are merely waiting for the mysterious God Particle to fulfill (give mass to) that basic human expectation of happiness. Solar-Lunar Consciousness (or not having idealizations). I’ll come back to these later when I’ll explain in more depth how each initiation fits the story of solar-lunar consciousness. To look through complementary solar-lunar eyes we need to re-vision our reading of the foundational myths that have shaped our lives. And we must look for the archetypal dynamics so that we may be able to liberate ourselves from cultural and gender bias. For now, consider what we know—that the sun and moon affect our circadian and bio-rhythms as well as mood, energy, growth, hibernation patterns, and other biological processes. However, we are living in an age of gas and electricity where the sun and moon, the lights of heaven, are rarely experienced today. In ancient times, those two lights of heaven had no competition in guiding life and our ancestors. And even further back to the beginnings of time, people were studying the Sun, the great source of life, and the Moon, its mysterious twin. 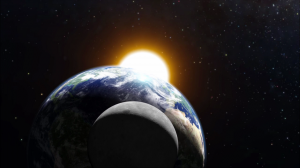 Until about 1500 BC, the sun and moon were both identified with being male and female by cultures. In other words there were both male and female sun gods and goddesses as well as male and female moon gods and goddesses. Now we live in an age and culture where people still refer to the moon as feminine energy and the sun as masculine energy. Thus, in my book Solar Light, Lunar Light I seek to move psychology from a binary model of human consciousness to get to its roots in solar-lunar complementarity. As you may already know, the archetypes, or protagonists, in Psyche and Eros undergo the most heartbreaking events—of painful love, loss, missed opportunity, grief, suffering, and misguided actions. Could two hapless lovers better mirror our own “reality?” It is primarily women’s shadow that this myth deals with. Yet, for the sake of moving toward resolution, we will eventually remove the gender imprint of the characters and consider them as solar or lunar energy within all of us. Let’s review the major plot points. The tale opens with Psyche, a mortal whose unsurpassed beauty prompts men from around the world to journey to gaze upon her with such adoration, as if she were a goddess. 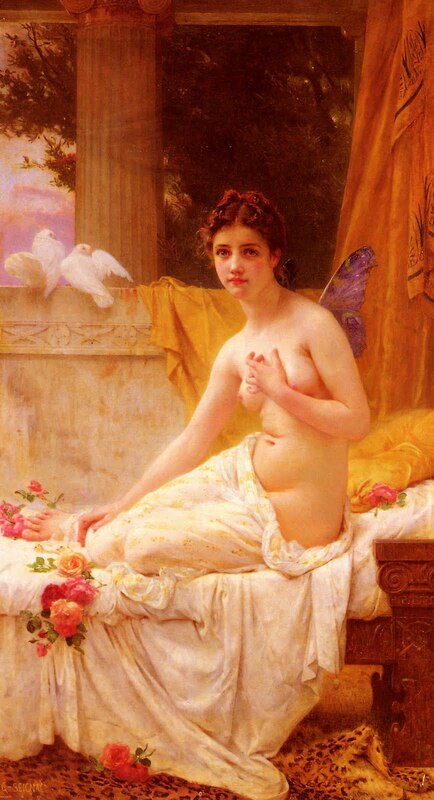 Despite her loveliness, no one falls in love with Psyche. Men simply enjoy her beauty then move on to marry someone else. 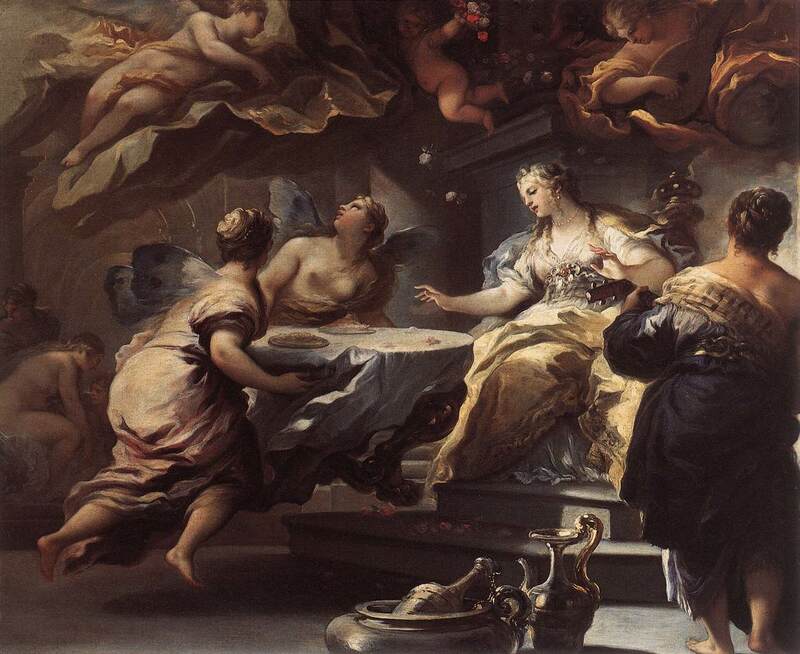 Psyche’s sisters, described as “inexpressibly inferior to her,” are married to kings. Meanwhile, Psyche endures loneliness and sadness. She is admired greatly, but never loved. The goddess Venus becomes jealous of Psyche. Because of the attention given to Psyche the population begins to neglect Venus’s temples. Venus can’t abide watching such homage go to a mere girl who would one day die. She turns to her son, Eros for help. She asks the winged youth to go prick Psyche with one of his golden arrows and make her fall madly in love with a vile creature. Eros is ready to do her bidding, but the plan backfires. 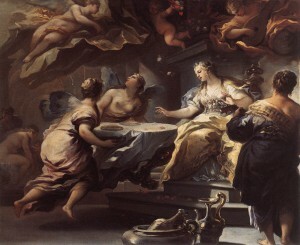 Psyche’s beauty is as powerful as one of his own arrows. So the God of Love is irresistibly wooed: he falls in love with Psyche. Meanwhile, the plot thickens as Psyche’s parents, concerned about her lack of marriage suitors, consult an oracle who tells them they must abandon their daughter on a remote mountain, that she is not destined for mortal men. Distraught, they must follow these instructions. But a breath of soft, warm air, that of Zephyr, “the sweetest and mildest of winds,” blows through and lifts the terrified Psyche off the mountain to a fragrant meadow in a valley with a palace and servants to wait upon her. 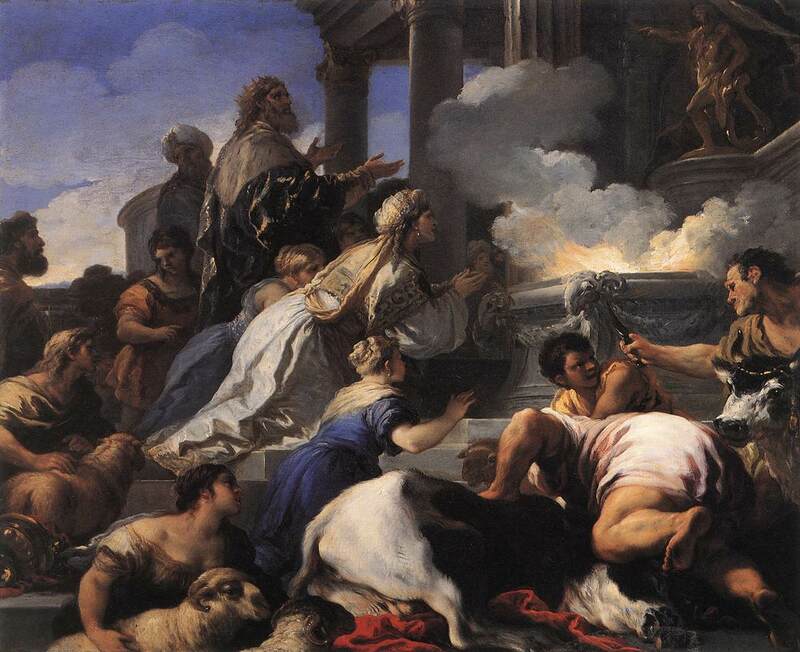 A promised bridegroom arrives and a marriage is consummated. But the groom visits Psyche only at night and demands that she never light lamps or try to look upon him. Psyche is content with the husband, sight unseen, knowing him to be the lover she long awaited. 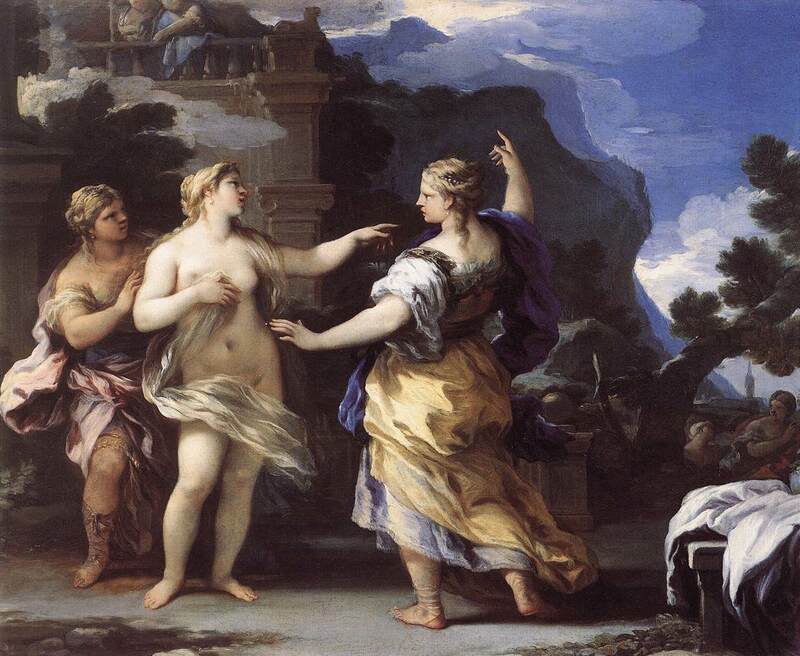 Enter Psyche’s two sisters—let’s call them Suspicious and Officious. They arouse Psyche’s curiosity and fears during a visit to her in which they jealously eye the extravagance that surrounds Psyche. They tell her she absolutely must light an oil lamp at night and look upon this mysterious husband whom they’ve heard is not a man but a hideous serpent that Apollo’s oracle has foretold. Eventually, they warn her, he would not be so kind but would turn on her one night and devour her. Despite initial resistance, Psyche is persuaded. As her husband sleeps peacefully, she shines the light of an oil lamp upon him. She is stunned and moved to such love, deeper than anything she’s ever known. Rapture fills her heart. For indeed, he is sweet and fair, gorgeous and perfect. Shaken with shame for her lack of faith, Psyche accidentally allows a drop of hot oil to fall upon her lover and it startles him awake. In an instant, he sees the lighted lamp, his unfaithful wife, and wordlessly he flees from her. Forever? Perhaps. 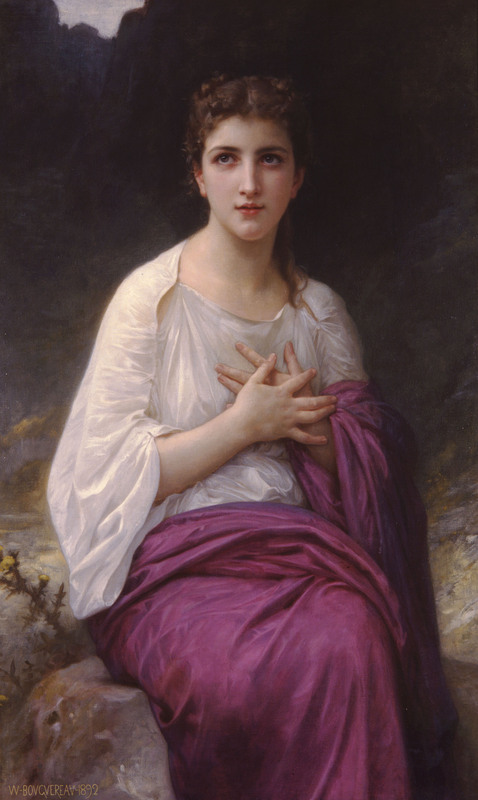 Psyche is heartsick and grief-stricken.